The revolutionary CrossBreed® SuperTuck® is the most comfortable and concealable inside the waistband (IWB) holster you'll ever wear. 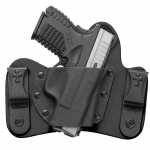 Designed exclusively and patented by CrossBreed® Holsters, the flagship SuperTuck Deluxe® is hand molded to fit each specific firearm listed. It features a premium leather backing with a molded and mounted kydex pocket. Versatile for carry options, the SuperTuck may be worn comfortably with or without your shirt tucked in – based on your personal carry style. 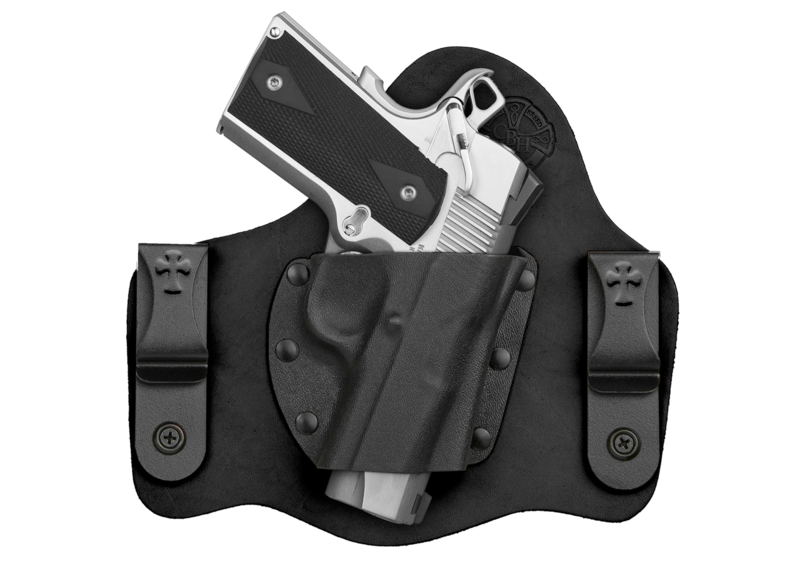 The SuperTuck is designed to be carried towards the rear of your draw side – 3:30 to 5 o'clock for a right-hand draw or 7 to 8:30 for a left-hand draw. The SnapLok powder coated steel belt clips are modular, enabling you to adjust cant AND ride height. 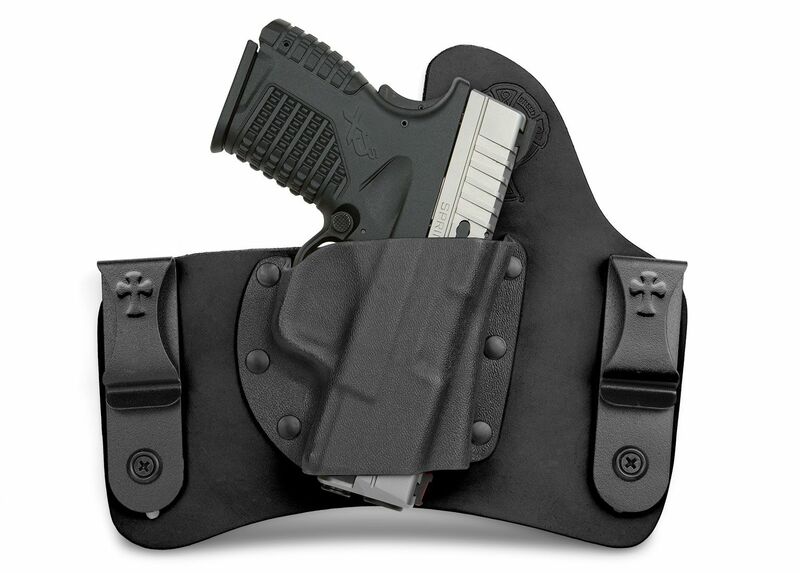 The holster backing is made from high-grade Black Cowhide and has a Black Kydex shell. The SuperTuck comes with the Crossbreed “Two Week, Try it Free Guarantee” and a Life Time Warranty. 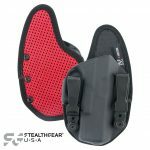 Once you receive your holster you have two weeks to try it out. 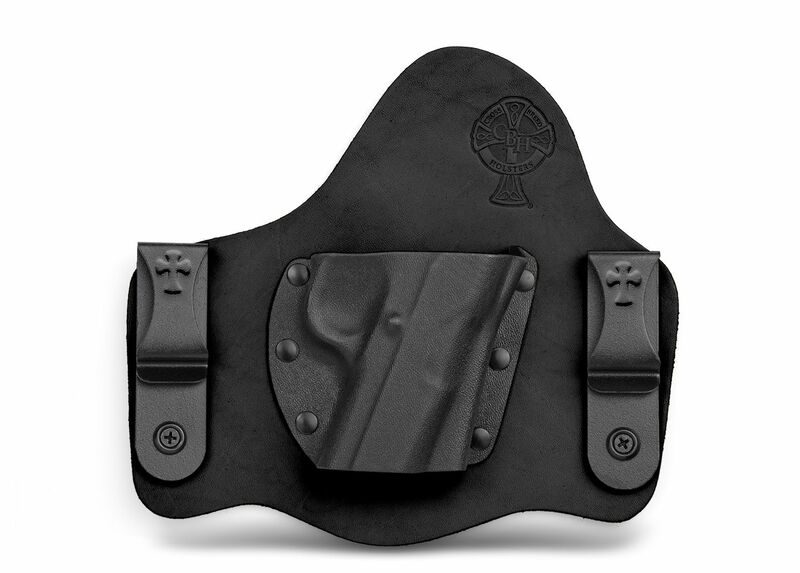 If for any reason you are not completely satisfied simply return it and they will refund the purchase price of the holster. Shipping charges are not refunded. 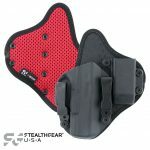 If the holster should ever fail under normal use, they will repair or replace it as long as you own it. Available for over 650 gun/light/laser combinations. Be the first to review “Crossbreed Supertuck IWB Holster” Click here to cancel reply.